It's that time again! Happy Halloween everyone! Does anybody have any big plans? I'm heading out into Center City for the day to do a few Halloween-centered assignments for class and then I'll probably look up Hocus Pocus online, drink some hot chocolate and eat too much gummy candy corn (aka my new favorite thing). I love that Halloween is the first stepping stone into the Holiday Season! Yes, I'm that annoying person who is already thinking about Christmas. But I can't help it, this time of year is my absolute favorite. I already have my Thanksgiving outfit purchased and ready, like I said, I'm pretty excited about the holidays. 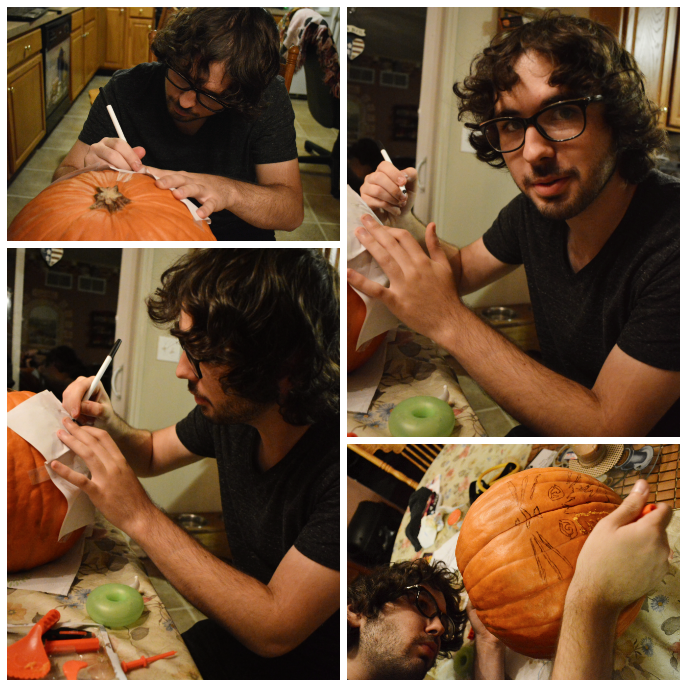 Derek and I carved this Pumpkin when I went home nearly a month ago, it was so much fun having a night like this together. 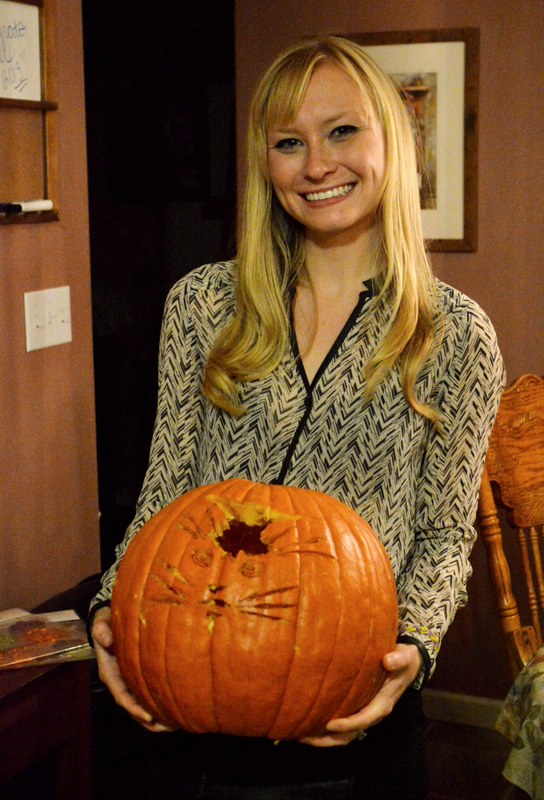 We obviously messed up our carving a little bit by pushing the pumpkin out in between the ears but oh well. 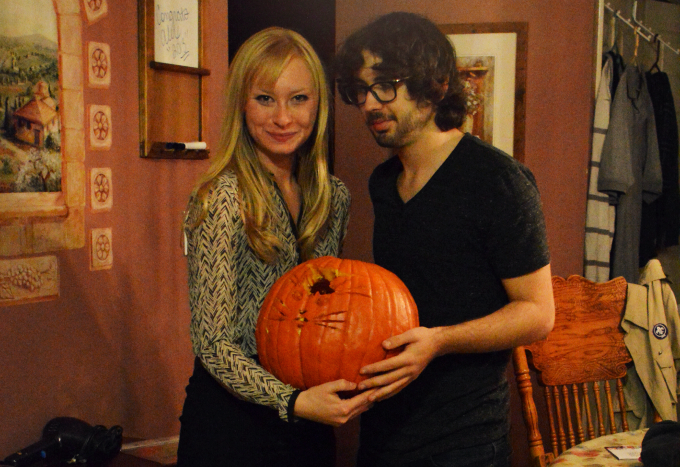 We baked cookies, carved Pumpkins and then roasted Pumpkin seeds. A perfect Fall evening. Happy Halloween everyone, stay safe! Aw so cute! looks like you had fun! I too love that Halloween is the beginning of the holiday season. My favorite time, ever! The husband already wants to put up the Christmas Tree. Yep. We're those annoying people. ha! Happy Halloween! 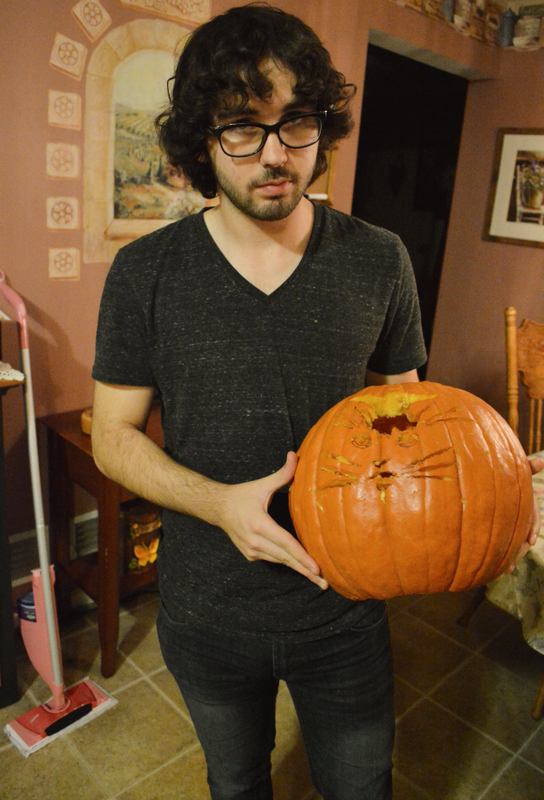 Such a cute pumpkin. I never bought one and now I want to carve a pumpkin. Candy corn.. so, so good and addicting! Sounds like you had a nice evening with your boyfriend. 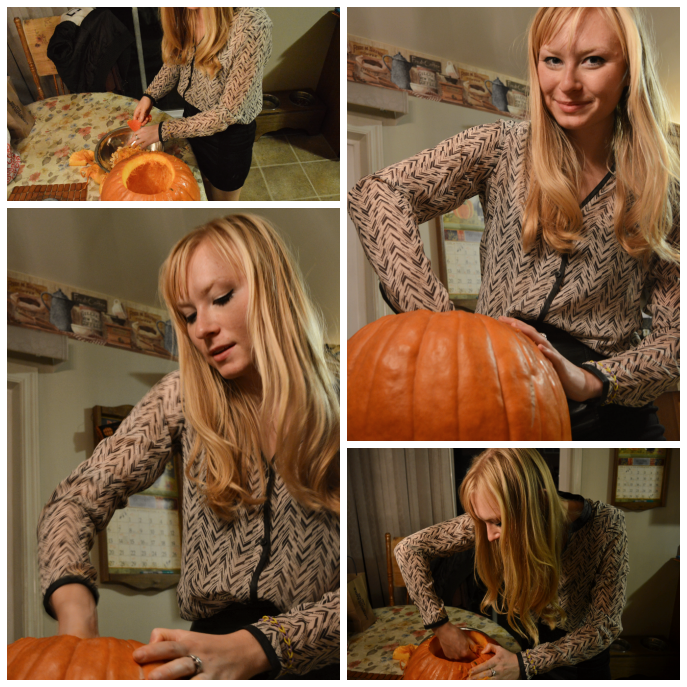 Carving pumpkins is an essential autumn activity.